Duane Clarke was raised in a Christian home with loving, godly parents. 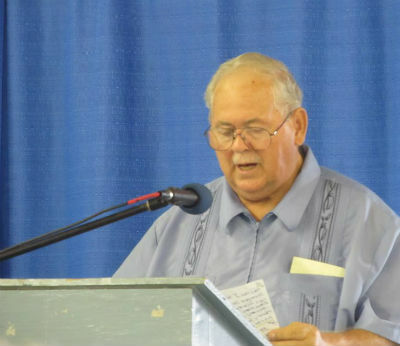 As a PK—“pastor’s kid”—he heard the gospel preached more times than he could count, whether at Middle Grave Creek Church of God near Moundsville, where his father was senior pastor, or at Ash Avenue Church of God, where his father had served as Sunday school superintendent. At age fifteen, while attending youth camp, Duane went to an old-fashioned altar and asked Jesus into his heart. Soon after, he followed Jesus’ example in baptism. But when this young sports fan checked into a local bar to purchase Lakers tickets, he was inadvertently introduced to sports betting. It wasn’t long before he was thrust into the world of gambling, and for thirty years, he couldn’t find his way out. Hell stole much from Duane Clarke’s life, but Jesus would have the last word. But in gambling, the one who loses, even though he may be a good sport, is always harmed. And the transferee, or the man who acquires wealth in this way, while he may be the gainer materially, loses spiritually and morally, and the material gain is not to be compared in any respect to the moral and spiritual loss. Tragically, Duane’s father didn’t get to see this shattered life restored, but even to the end, his prayers never ceased. Five weeks after Pastor Russell died, Duane concluded, “I am sick and tired of being sick and tired.” Even then, only three days later, Duane found himself buying four lottery tickets. Immediately, he asked himself, “What am I doing?” He shut the door to gambling that day and never opened it again. 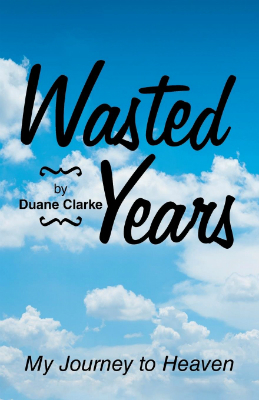 Duane Clarke had begun to take back what hell had stolen. Though Duane’s wasted years were many, he’s not let that keep him from receiving, hearing, and fully embracing the abundant life Christ offers him today. His wife had died, but God blessed him with his precious Linda. 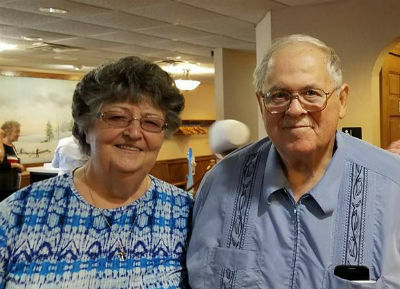 Together they have gone on to serve the Lord in a variety of settings, including their home church Ash Avenue Church of God, in Moundsville, and Valley Community Church of God in Phoenix, Arizona, where they spent many winters. A voice that once placed bets now lifts musical praises to the Lord at church and in community settings, such as senior living homes and festivals. In the time since his dramatic turnaround, Duane has penned a letter to his father, expressing both penance and assurance of the Lord’s work in his life. The letter is included in Duane’s book, which also features some of his father’s ministerial writings, and you can get a copy of it through his website, www.duaneclarke.com. Duane looks forward to the day they can reunite, where he will thank his father for fighting on his knees for Duane for three decades. Duane and his father Russell, meeting again, face to face: now that’s a sure bet. In West Virginia, across North America, and around the world, the Church of God is taking back what hell has stolen. Join the movement. Give life. Donate today at give.jesusisthesubject.org. This entry was posted in All Church of God, Northeast and tagged addiction, alcohol, Arizona, Ash Avenue Church of God, author, AZ, book, Duane Clarke. Russell Clarke, gambling, habit, joy, Linda Clarke, Middle Grave Creek Church of God, Moundsville, pastor's kid, Phoenix, PK, Reclaim, reclamation, recovery, testimony, triumph, Valley Community Church of God, victory, Wasted Years, West Virginia, WV. Bookmark the permalink.